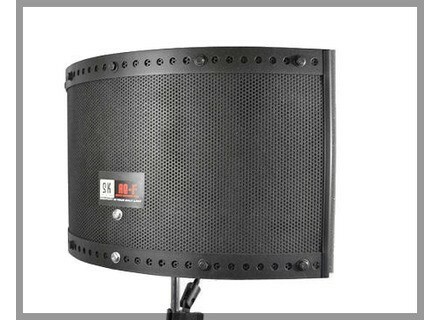 AE-F, Material For Modular Sound Isolation from Sound Kitz. 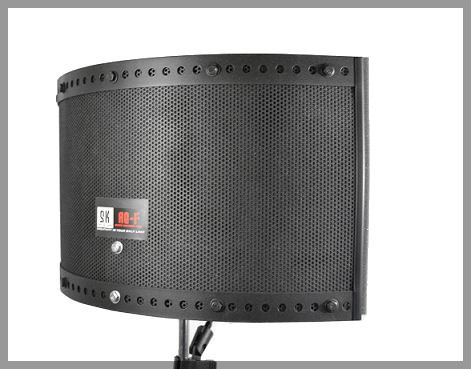 The Soundkitz AE-F is an acoustic recording system that is designed for recording vocals and instruments in both treated and untreated rooms. 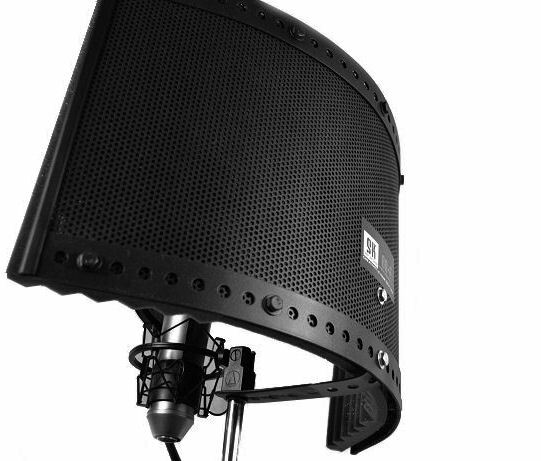 The AE-F features a unique sound filtering system that makes it capable of performing in may recording environments. SammyGia's review"Helped me a lot more than I expected"
I purchased the AE-F about a year plus ago. It wasn't my first choice but it was my last choice that I needed to make. 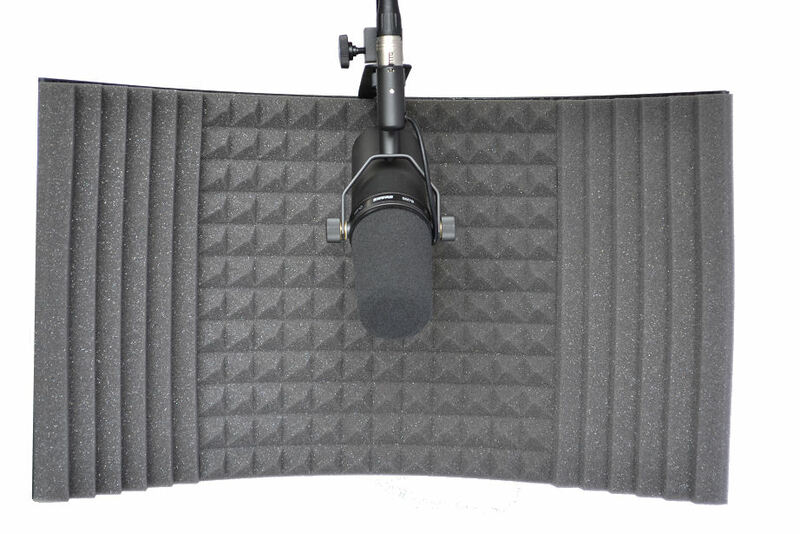 At the time I purchased it I was looking for something to help remove some of the hollowness I had been experiencing when I would record my voice. My room was pretty much dry already as far as sound could go but I sounded hollow. I tried a few home brewed solutions but never got the results I wanted then I started looking at reflection filters but didn't want to spend $300 on one. 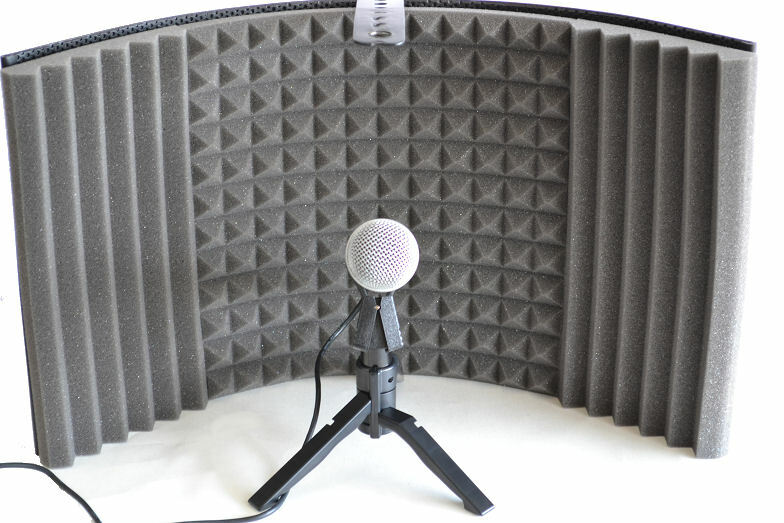 I first tried a ambient room filter that I purchased for around $100 and it made my voice sound even more removed like I was recording inside a cardboard box. 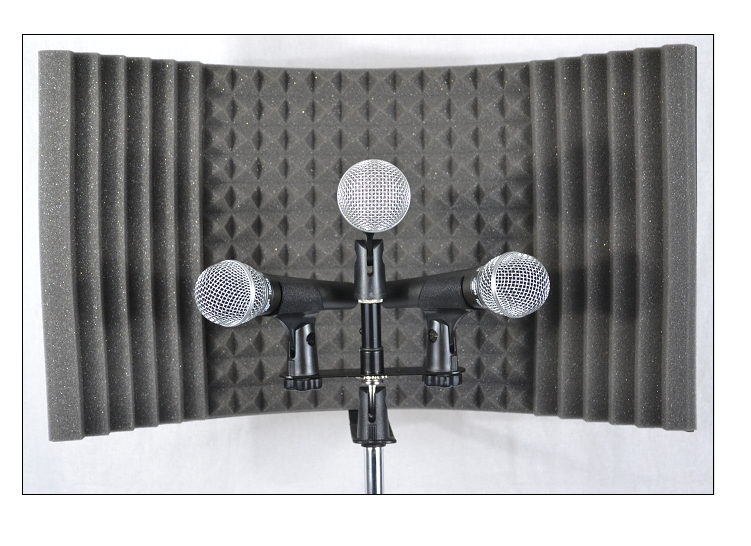 Then I sent that back and brought the AE-F which I found to bring my voice out more instead of muffling it. Instead of sounding so hollow it was more direct like I was speaking to you and not from across the hall. What I like the most about the filter is that it didn't take me too long to set up and was effective without me having to do any adjusting to my mic playing around with it. What I like the least about it? I was pretty satisfied with it but it would be nice if maybe it had a panel or layer that could cover the top so it's not so open. That might help. Very good value it's built very strong there is no plastic it's all metal. It feels very solid like it won't break so easily. Precision and quality of the sound? Great improvement but depend on what you record you might noticed more than I did. I just use it for voice, I can see a singer getting even more out of it. Yes, and I was satisfied with this purchase. The other products I tried were also somewhat effective but they didn't address my specific problem. I would have made it sooner and probably first. I have been satisfied with this item from them. Very nice quality and good results no real complaints.